The FLV format has become the standard to broadcast video over the Internet, a format based on Adobe Flash that allows the broadcast of video streaming with more than acceptable quality. In general, the videos are viewed in the browser, but many of the users will surely prefer to download them and view then with FLV Player. This software allows you to easily play your videos on the desktop, like any multimedia player. Furthermore, it includes the possibility to generate playlists, so that you'll be able to view all the videos that you download in FLV format one after the other. It's also possible to activate the playback in full screen or zoom in between 0.5x to 2x. On the other hand, FLV Player will be directly associated to FLV files (that by default aren't associated to any application), even though it's also compatible with 3GP, WMV and AMR. 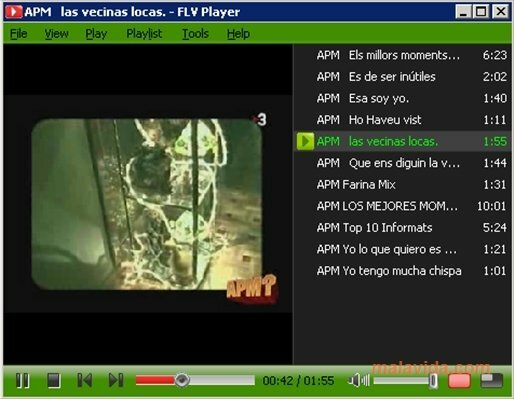 FLV Player doesn't have a great interface, but it accomplishes its mission perfectly. 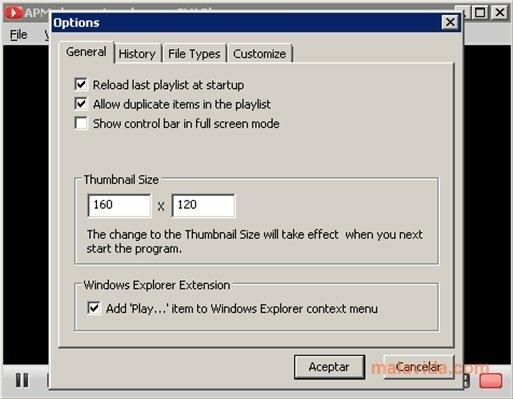 Similar to that of embedded players, it's possible to view some of the video frames as thumbnails to identify the video, as well as using the “Drag&Drop” technology to start playing a video.